What with the advent of the internet, high definition and all those other pesky technological advances, the humble radio could be forgiven for feeling a bit left out. That is until recently. Radio has caught the convergence bug and teamed up with the internet to give us internet radio - the technology allows you to listen to thousands of radio stations from around the world. To bring your listening into the internet age all you need is a wireless router and a device such as the new Bush. At the heart of the Bush is a 60 x 45 x 6mm Reciva Barracuda Internet Radio module. The chipset supports all major formats such as RealAudio, Windows Media Audio and MP3 along with on-demand and live streams. The other half of the technology is Reciva's Internet Radio gateway which holds details of more than 5,000 stations. If you're lazy and have no security on your wireless network, set-up of the radio is near instantaneous. More realistically you'll need to discover the radio's MAC address and maybe enter your WPA or WEP key into it. These procedures are a fiddle thanks to the device's limited data entry interface but as this is a job you'll only do once it's no great problem. When you're done, like any old valve radio there's a warm-up period during which the Bush connects itself up and builds its list of stations. Selecting your chosen channel is a straightforward business. The database of available channels is sorted by location and genre. Thanks to the mind-numbing number of channels on offer, finding what you're after can take a while. Sound quality isn't brilliant but if, like us, you live in a rural area where the DAB and FM signals seem to come and go as they please, it's a real godsend. Beyond the speakers that make music sound boxy, the quality of Internet broadcasts is also to blame for the low quality audio that this will pump out. 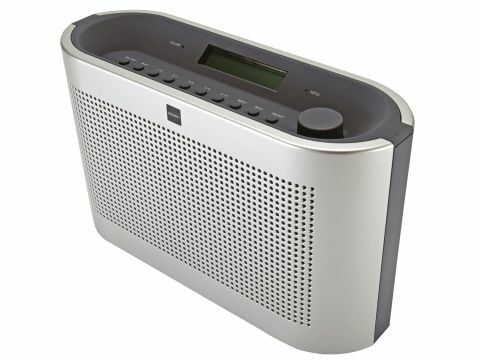 Radio 4, for example, was streamed at 48Kbps via the internet while it's broadcast at 96Kbps on digital radio. What's going on there we ask? All that said, if you crave news and music from your homeland, prefer some obscure jazz station or are learning a new language, the Bush is an attractive buy.